So you've signed up to Walk In Her Shoes in 2018? It's time to get fundraising! 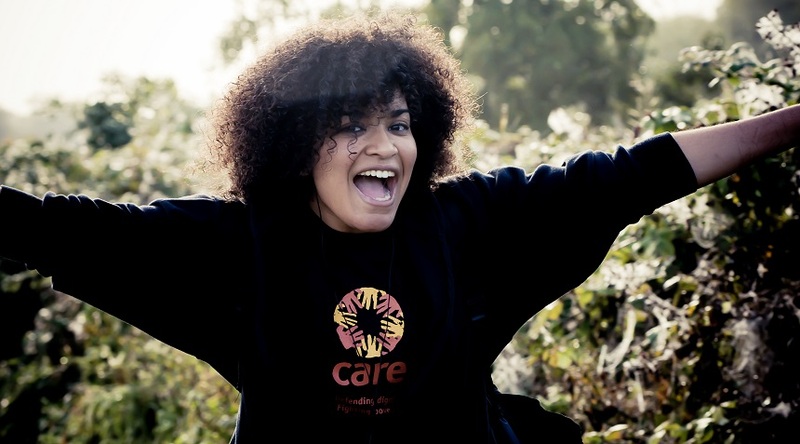 By walking 10K steps a day in April 2018 and raising £100 for CARE International, you’ll be helping us to provide clean and safe water sources. This means that women and girls don’t have to walk for water. Instead, they have the time they need for work or school - giving them the chance for a better future. To help you reach your £100 target and change the lives of women and girls living in poverty, we've put together some tips to give you a helping hand. If you need any personal fundraising advice, please contact us and we’ll be happy to help. If you didn't set up your JustGiving page when registering to take part, it's never too late! Create your unique sponsorship page in a matter of minutes here. Fundraising through JustGiving is a really simple and easy way to ask for sponsorship from your friends, family and colleagues. You'll hit your £100 target in no time. Add a selfie of you wearing your new favourite Walk In Her Shoes t-shirt. Tell a personal story about why you decided to take part and why being sponsored is important to you. Aim high! If you want to push your target further than £100, go for it! Add regular updates to let your supporters know how you're getting on. You have complete creative control over your sponsorship page, so have fun with it! Once you're set up and ready to go, start sharing your page on all of your social media platforms. Facebook, Twitter, Instagram, LinkedIn... whatever social media channels you use are all great to post your page and call for support. We also recommend sharing your page personally using message apps like WhatsApp - these days people can follow the link then and there on their mobile device and make a donation straight away. Our fundraising resources will also come in handy to get your friends and family excited about supporting Walk In Her Shoes on social media. Email is a great way to share your page directly with colleagues at work or friends and family who might not be as social media savvy. Email your colleagues on or around pay day and your friends and family on a Monday - you’ll have much better responses! You can also download our Walk In Her Shoes email signatures here. These provide a great way to remind people that you're fundraising for CARE. The JustGiving app allows you to take your fundraising with you wherever you go. Download the app on Android or iPhone and you'll be able to update and share your sponsorship page whenever you like! Fancy a few more tips to really smash your fundraising target? Check out the resources that JustGiving have here. Bake Sale - Invite colleagues to bake their tastiest cakes and treats and have a tasting session in the office. Charge an entry fee for contestants and a tasting fee for the judges. Quiz Night - Arrange a quiz night at your local pub and charge teams to enter. Combine the evening with a raffle too and raise even more. Sweepstake - Arrange a sweepstake around your favourite sporting event or competition. International Lunch - Invite colleagues to bring in their favourite dishes from around the world and hold an international lunch buffet! Ask your workmates to contribute what they would normally spend on lunch. Raffle - Raffles are easy to organise and can generate substantial funds - contact local businesses to get prizes donated and sell tickets at work. Tuck Shop - Buy treats in bulk, and then sell with a small mark up! You can leave them next to an honesty box, just empty the contents each day. This idea works well when the weather starts to heat up and everyone is craving an ice lolly. Dress Down Day - Organise a day for casual clothes at work and ask for a £2 donation from each of your colleagues. Games Night - Get your friends round, dig out the old board games, and get some friendly competition happening! Charge an entry fee and offer up some awesome prizes for the winners. Movie Night - Find a local cinema to host your movie night or stay comfortable at home. Wine Tasting - Order in a few bottles and host a wine tasting evening at £10 a ticket... cheese is optional. Car Wash - A bucket, a sponge, some washing solution, and access to water is all you need for this one! Charge £10 a car and you'll be in business. We recommend fundraising as much as possible through JustGiving, because everything you raise will automatically be transferred to CARE, which means you don't have to do a thing! JustGiving will also be able to claim Gift Aid for us on all donations that are eligible. Pay in your funds straight onto your JustGiving page as a donation. Pay in your funds over the phone with a debit or credit card by calling us on 020 7091 6100. Make a direct transfer to CARE - please contact us by email and we can provide you with the details. 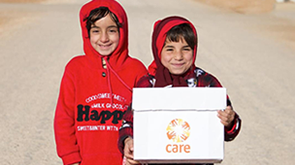 Send a cheque made payable to CARE International UK. Please enclose a note with your name, contact details, and referencing Walk In Her Shoes. Cheques can be sent to us at: Walk In Her Shoes, CARE International UK, 89 Albert Embankment, London, SE1 7TP. So that we can claim Gift Aid on your cash donations, we'll send you a sponsorship form to print at home by email, and if you've opted for the £10 registration fee, we'll also send you one in the post. Simply follow the instructions on the reverse of the form, and we'll make sure your fundraising goes that bit further with Gift Aid.